What's Beyond Forks? 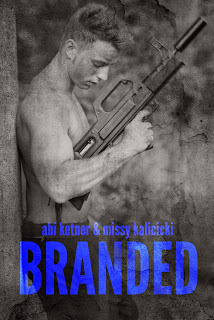 : Branded Book Blitz & Giveaway! 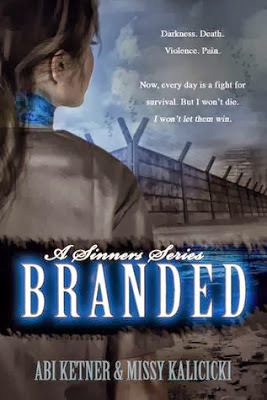 Branded Book Blitz & Giveaway! I’m buried six feet under, and no one hears my screams. The rope chafes as I loop it around my neck. I pull down, making sure the knot is secure. It seems sturdy enough. My legs shake. My heart beats heavy in my throat. Sweat pours down my back. Death and I glare at each other through my tears. I take one last look at the crystal chandelier, the foyer outlined with mirrors, and the flawless decorations. No photographs adorn the walls. No happy memories here. I’m ready to go. On the count of three. I inhale, preparing myself for the finality of it all. Dropping my hands, a glimmer catches my eye. It’s my ring, the last precious gift my father gave me. I twist it around to read the inscription. Picturing his face forces me to reconsider my choice. He’d be heartbroken if he could see me now. A door slams in the hallway, almost causing me to lose my balance. My thoughts already muddled, I stand waiting with the rope hanging around my neck. Voices I don’t recognize creep through the walls. Curiosity overshadows my current thoughts. It’s late at night, and this is a secure building in High Society. No one disturbs the peace here—ever. I tug on the noose and pull it back over my head. Peering through the eyehole in our doorway, I see a large group of armed guards banging on my neighbors’ door. A heated conversation ensues, and my neighbors point toward my family’s home. It hits me. I’ve been accused and they’re here to arrest me. My father would want me to run, and in that split second, I decide to listen to his voice within me. Flinging myself forward in fear, I scramble up the marble staircase and into my brother’s old bedroom. The door is partially covered, but it exists. Pushing his dresser aside, my fingers claw at the opening. Breathing hard, I lodge myself against it. Nothing. I step back and kick it with all my strength. The wood splinters open, and my foot gets caught. I wrench it backward, scraping my calf, but adrenaline pushes me forward. The voices at the front door shout my name. On hands and knees, I squeeze through the jagged opening. My brother left through this passage, and now it’s my escape too. Cobwebs entangle my face, hands, and hair. At the end, I feel for the knob, twisting it clockwise. It swings open, creaking from disuse. I sprint into the hallway and smash through the large fire escape doors at the end. A burst of cool air strikes me in the face as I jump down the ladder. Reaching the fifth floor, I knock on a friend’s window. The lights flicker on, and I see the curtains move, but no one answers. I bang on the window harder. “Let me in! Please!” I say, but the lights darken. They know I’ve been accused and refuse to help me. Fear and adrenaline rush through my veins as I keep running, knocking on more windows along the way. No one has mercy. They all know what happens to sinners. Another flight of stairs passes in a blur when I hear the guards’ heavy footfalls from above. I can’t hide, but I don’t want to go without trying. Help me, Daddy. I need your strength now. My previous desolation evolves into a will to survive. I have to keep running, but I tremble and gasp for air. I steel my nerves and force my body to keep moving. In a matter of minutes, my legs cramp and my chest burns. I plunge to the ground, scraping my knee and elbow. A moan escapes from my chest. Gotta keep going. “Stop!” Their voices bounce off the buildings. “Lexi Hamilton, surrender yourself,” they command. They’re gaining on me. I resist the urge to glance back, running into what I assume is an alley. I’m far from our high-rise in High Society as I plunge into a poorer section of the city where the streets all look the same and the darkness prevents me from recognizing anything. I’m lost. My first instinct is to leap into a dumpster, but I retain enough sense to stay still. I crouch and peek around it, watching them dash by. The abhorrent smell leaves me vomiting until nothing remains in my stomach. Desperation overtakes me, as I know my retching was anything but silent. My last few seconds tick away before they find me. Everyone knows about their special means of tracking sinners. I push myself to my feet and look left, right, and left again. Their batons click against their black leather belts, and their boots stomp the cement on both sides of me. I shrink into myself. Their heavy steps mock my fear, growing closer and closer until I know I’m trapped. Never did I imagine they’d come for me. Never did I imagine all those nights I heard them dragging someone else away that I’d join them. I stand defiant. I refuse to bend or break before them, even as I shiver with fear. “There’s no reason to make this difficult. The more you cooperate, the smoother this will be for everyone,” a guard says. I cringe into the blackness along the wall. I’m innocent, but they won’t believe me or care. Hole is a prison with no rules. We learned about it last year in twelfth grade. To the outside, I’m filth now. I’ll never be allowed to return to the life I knew. No one ever does. “All sinners go through a transformation,” one of the guards says to me. His smirk infuriates me. “I’m sure you’ve heard all kinds of stories.” I don’t respond. I don’t want to think about the things I’ve been told. “You won’t last too long, though. Young girls like you get eaten alive.” He pulls a strand of my hair up to his face. Get your hands off me, you pig. I want to lash out, but resist. The punishment for disobeying authority is severe, and I’m not positioned to defy him. They’re the Guards of the Commander. They’re chosen from a young age and trained in combat. They keep the order of society by using violent methods of intimidation. No one befriends a guard. Relationships with them are forbidden inside the Hole. Few have seen the commander. His identity stays under lock and key. His own paranoia and desire to stay pure drove him to live this way. He controls our depraved society and believes sinners make the human race unforgivable. His power is a crushing fist, rendering all beneath him helpless. So much so, even family members turn on each other when an accusation surfaces. Just an accusation. No trial, no evidence, nothing but an accusation. I lose myself in thoughts of my father. “Never show fear, Lexi,” my father said to me before he was taken. “They’ll use it against you.” His compassionate eyes filled with warning as he commanded me to be strong. That was many years ago, but I remember it clearly. My father. My rock. The one person in my life who provided unconditional love. “Get out,” the guard says while pulling me to my feet. The vehicle stops, and I’m jerked back to reality. The doors slide open and the two guards lift me up and out into the night. A windowless cement building looms in front of us, looking barren in the darkness. The coolness of the air sends a shiver up my spine. This is really happening. I’ve been labeled a sinner. My lip starts to quiver, but I bite it before anyone sees. They shove me in line, and I realize I’m not alone. Women and men stand with faces frozen white with fear. A guard grabs my finger, pricks it, and dabs my blood on a tiny microchip. I follow the man in front of me into the next room where we’re lined up facing the wall. Glancing right, I see one of the men crying. “Spread your legs,” one of the guards says. They remove my outer layers and their hands roam up and down my body. What do they think I can possibly be hiding? I press my head into the wall, trying to block out what they’re doing to me. “MOVE!” a guard commands. So I shuffle across the room, trying to cover up. Five of us sit in the holding room. One by one, they pull people into the next room, forcing the rest of us to wonder what torture we’ll endure. An agonizing amount of time passes. I lean my head back and try to imagine a place far away. The door opens. “Lexi Hamilton.” A guard escorts me out of the room, and I don’t have time to look back. As soon as the door closes, they pick me up and place me on a table. It’s cold and my skin sticks to it slightly, like wet fingers on an ice cube. Then they exit in procession, and I lie on the table with a doctor standing over me. His hands are busy as he speaks. “Don’t move. This will only take a few minutes. It’s time for you to be branded.” A wet cloth that smells like rubbing alcohol is used to clean my skin. Then he places a metal collar around my neck. Click. Click. Click. The collar locks into place, and I struggle to breathe. The doctor loosens it some as I focus on the painted black words above me. “Memorize it. Might keep you alive longer if you know who to stay away from.” He opens my mouth, placing a bit inside. “Bite this.” Within seconds, the collar heats from hot to scorching. The smell of flesh sizzling makes my head spin. I bite down so hard a tooth cracks. “GRRRRRRRRR,” escapes from deep within my chest. Just when I’m about to pass out, the temperature drops, and the doctor loosens the collar. He removes it and sits me up. Excruciating pain rips through me, and I’m on the verge of a mental and physical breakdown. Focus. Don’t pass out. Stainless steel counters and boring white walls press in on me. A guard laughs at me from an observation room above and yells, “Blue. It’s a great color for a pretty young thing like yourself.” His eyes dance with suggestion. The others meander around like it’s business as usual. I finally find my voice and turn to the doctor. “Are you going to give me clothes?” A burning pain spreads like fire up from my neck to my jaw, making me wince. He points to a set of folded grey scrubs on a chair. I cover myself as much as I can and scurry sideways. Grabbing my clothes and pulling the shirt over my head, I try to avoid the raw meat around my throat. I quickly knot the cord of my pants around my waist and slide my feet into the hospital-issue slippers as the doctor observes. He hands me a bag labeled with my name. “Nothing is allowed through the door but what we’ve given you,” he says. I hide my right hand behind me, hoping no one notices. A guard scans my body and opens his hand. “Give it to me,” he says. “Don’t make me rip off your finger.” He crouches down and I turn to stone. I don’t know what to do, so I beg. “My father gave this to me. Please, let me keep it.” I smash my eyes shut and think of the moment my father handed the golden ring to me. “It was my mother’s ring,” he’d said. “She’s the strongest woman I ever knew.” With tears in his eyes, he reached for my hand and said, “Lexi, you’re exactly like her. She’d want you to wear this. No matter how this world changes, you can survive.” I turned the gold band over in my palm and read the engraving. “You’re going to take the one thing that matters the most to me?” I say, glaring into the guard’s emotionless eyes. “Isn’t it enough taking my life, dignity, and respect?” A hard blow falls upon my back. As I fall, my hands shoot out to stop me from smashing into the wall in front of me. The guard bends down and grabs my chin with his meaty fist. “Look at me,” he commands. I look up and he smiles with arrogance. “What the hell?” He staggers a step backward. “What’s wrong with you? What’s wrong with your eyes?” “Nothing,” I respond, confused. “What color are they?” “Turquoise.” I glower at him. “Interesting,” he says, regaining his composure. “Now those’ll get you in trouble.” Reality slaps me across the face. I have my father’s eyes. They can't take them from me. I twist the ring off my finger and drop it in his hand. “Take the damn ring,” I say. I walk to the door. He swipes a card and the massive door slides open to the outside. “You have to wear your hair back at all times, so everyone knows what you are.” He hands me a tie, so I pull my frizzy hair away from my face and secure it into a ponytail. My neck burns and itches as my hand traces the scabs that have already begun to form. Squinting ahead in the darkness, I almost run into a guard standing on the sidewalk. “Watch where you’re going,” he says, shoving me backward. His stiff figure stands tall and I cringe at the sharpness of his voice. “Cole, this is your new assignment, Lexi Hamilton. See to it she feels welcome in her new home.” The guard departs with a salute. “Let’s move,” Cole says. 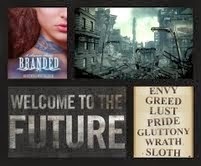 To learn more about authors and their books, visit their website.You can also find them on Facebook and Twitter. So much to love about this. It's going to be exciting to read. I love collaboration books because I think really interesting ideas come out of collaborations!